The Government has extended the amnesty period given to local tax payers who have accepted the penalties that have been imposed and do not have any means to pay them. Finance Minister Aiyaz Sayed-Khaiyum announced the extension at the stakeholder consultations on the Draft Income Tax Bill 2015. The amnesty period to declare offshore assets and liabilities was supposed to end last month and due to some logistical issues the government has further extended it to October. Sayed-Khaiyum says the extension will make it easier for tax payers to sort out payments. ‘’What is said is that generally we have small income tax payers that have not been given any information and they have been assessed and FIRCA have come down and say look we want to pay and we don’t have any means to pay so we accept the liability we want to have payment arrangements’’. Sayed-Khaiyum says there will also be payment arrangements that can be done during the extension of this amnesty period. 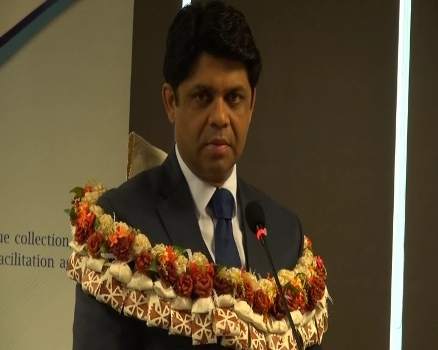 Earlier this year, the Fiji Revenue and Customs Authority estimated that $50.3 million of back tax is owed from over 8000 tax payers.